In my opinion this project is of medium difficulty. The lap desks can be used while sitting on a couch, your bed or the floor. 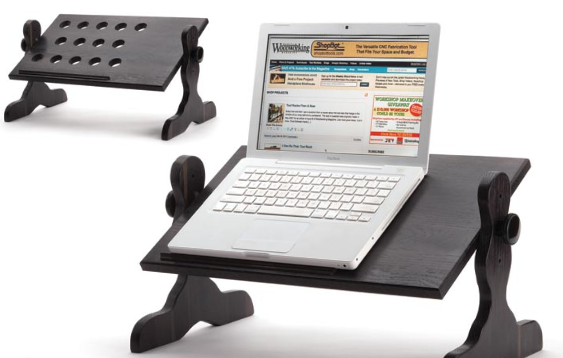 The desk is suitable for reading, writing or using a laptop. There are holes in the lap desk to help ventilation if you plan to use it with a laptop. These are of course optional. It can be adjusted to accommodate the user’s thigh thickness.